Every year, the West African Examinations Council conducts examinations and releases the results of same two times for West African Secondary School Certificate Examinations (WASSCE). Some candidates do very well but others do not do well, not at all. This has always brought sorrow to households, especially where parents have high hopes their wards would come out with flying colours. This article is to show you how to seat and pass that very paper which has been a thorn in your flesh. You will only need to follow these simple guide and put in a some effort. This article is not necessarily for those already in school and are now coming to write their own WASSCE examination though it can be applied with similar success rate. It is for those who have been there before and want to attempt it again. It is for those who are working but still need to pass some of the papers they failed in order to push ahead. It is for those who were not able to enter secondary school at all, not because they are not academically good but because some circumstances of life did not permit it, and now they are too afraid to attempt it. You can do it if you really want to. When you pass your papers it opens the chance for you to pursue your carrier. Registration for the private candidate examination is mostly done in April. So you must be on the lookout for the advertisement so you can get yourself registered. There are people whose parents are willing and can dole out money for them to register. For those who do not have anybody to give out money, one easy way out is to get a teaching job close by so you can get the needed money. A teaching job because you will have time after school to read your books. A teaching job because you might just find a member of staff willing to help in one subject or the other. This does not mean you must start preparation only after you have registered, you must start the preparation way before this time. If you were able to enroll for a private class to help in your preparation, then you must ensure that you are punctual in class and pay attention. If you are able to understand what the teacher teaches in class, half of the problem is solved. If you do not understand a point, ask questions. Remember you or your parents paid for the tuition and you must get the best out of the tutor. Try to pry every information out of the tutor because he has it. If he cannot get it for you immediately, he or she can get it latter. Every W.A.E.C. examination is based on knowledge you are expected to have acquired and the list of topics you are expected to study is in the W.E.A.C. syllabus. Yes, the tutor will teach based on the syllabus but this is not enough, you need to have it too so you know what W.A.E.C. is going to examine you on. Go to any W.A.E.C. office in your country and acquire one. It is for sale and make sure to get the very latest. 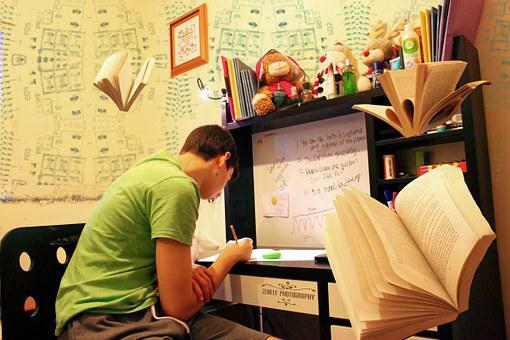 Once you study according to what you are expected to know you will do well. You can also make a quick Google search to download on the internet. Notes on Virtual Kollage are written based on the WAEC syllabus and you can have free access to the list of subjects. As a candidate, you must devote quality time for personal studies. Many candidates assume that once they sit in class to be taught, the materials would stick to their memory but that is only true in case of very exceptional students. For the bulk of them sitting in class is not enough. After the class, you must devote extra time to study what you have been taught so it can sink in more deeply. There are so many materials on the internet and with just a handheld device you can get access to a variety of notes on various subjects. For each subject you are to write, acquire its past questions, if the past questions date back to ten years that is good. You can get these past questions from any W.A.E.C. office in your country. It is sold over the counter. Many of the W.A.E.C. questions are recycled every year so by going through them you will have a feel of how the next set of examination questions would look like. For every topic treated on Virtual Kollage, a sample question is given after the last sentence. The Chief Examiner writes a detailed report on the conduct of the examination every time an examination is written. This includes information on how students answered the questions. The report points out what the candidates’ did well and what they did not do well and how this affected their performance in a particular subject. By studying the Examiner’s Report you can work on some of the loopholes pointed out. This will go a long way to help in your preparation. At this point the past questions you acquired come in handy. You must attempt to solve all the past questions. Do not worry if you cannot answer all the questions on your own. Do not be too proud. Get someone to help you but you must solve all the ones you have dating back ten previous years. Your ability to solve the past questions will boost your confidence level and stand you in good stead when the day of the examination arrives. One of the major time wasters for candidates today is Social Media. The children of today spend way too much time on things that do not matter for now instead of concentrating on their books. This does not leave enough time to be devoted to studies. In order to free enough time for studies avoid too much activity on Social Media. Once you decide to study, decide to switch your phone off. If you cannot switch off your phone, mute notifications so that they do not destruct you. You can answer all messages once you are done with studies. These suggestions are not cast in iron. You can adjust them here and there till you make a perfect mix. Once you put your shoulder to it you can successfully write the next W.A.E.C. examinations and pass well.